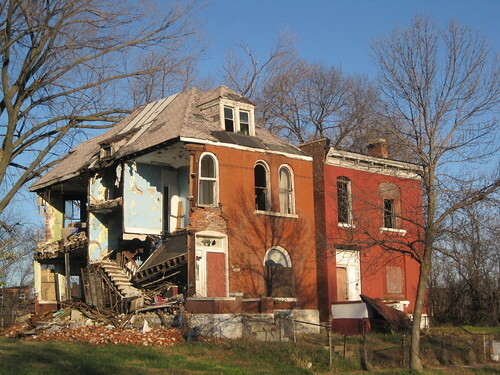 St. Louis has a rather strange problem: people are stealing entire houses. Actually, people aren’t stealing the houses. They are destroying the houses when they steal the bricks from which these houses are made. The underlying problem is not simply that our native clay products hold value, and are in demand where cities are growing. If the problem were that simple, brick theft would be understood purely as a crime wave. 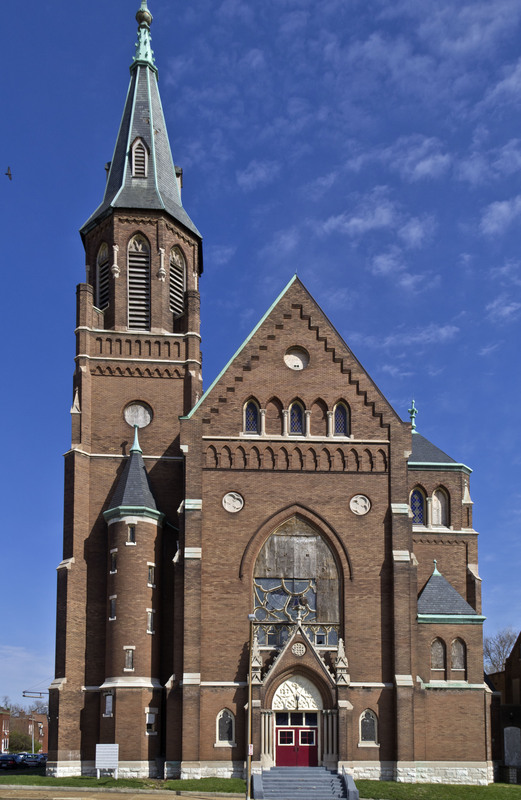 Churches are St. Louis’ most prominent neighborhood landmarks, built both as gathering places and expressions of our native design and building crafts. Most city neighborhoods can claim to have skylines due to the prevalence of masonry spires rising upward between rows of vernacular buildings. 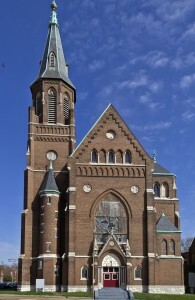 Historic churches are architectural anchors and touchstones for ethnic heritage and family history.